RuneScape devs team issued a patch note of tweaks and improvements they prepped up for Loot Sharing and Stone Spirits in the game, as a potent demonstration of perfectly performing its own New Year's resolutions in this phase. The patch note mainly focused on the major improvements to Loot Sharing, Stone Spirits, and several other functionalities within the game. It's also the remodification of some imperfections caused by the overdone tweaks from last Smithing & Mining Rework update. For starters, let's take a look at what's happened in Loot Sharing, shall we? 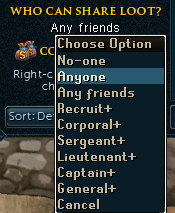 For Loot Sharing, RuneScape devs added a new feature to the Loot Sharing system that allowing the players to give away their own loots to anyone else in the same friends chat without no longer adding these people to the friend lists first. With this feature added on, there are plenty of conveniences created and a few more time saved for both sides of parties no doubt in the game. As usual, the devs are rather confident about the improvements these changes will bring into while they committed to monitoring the running situation as long as possible. 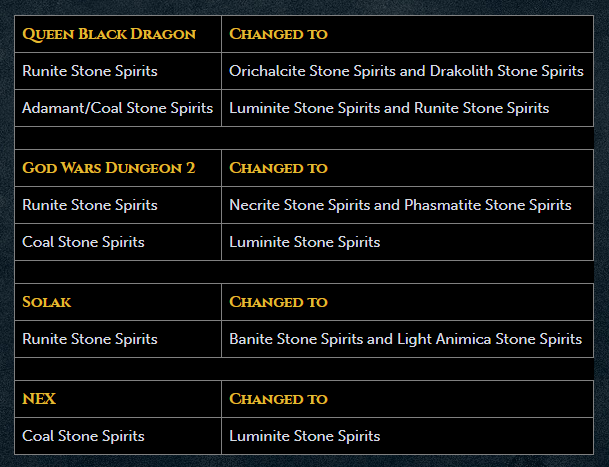 There is a batch of other contents in the new update that hasn't been brought up by Jagex in this announcement. Feel free to browse through the whole content of this update through here. Previous : FIFA 19 Ultimate Team TOTW 20 Revealed - Do Any Manchester United Or Man City Players Make The Cut?